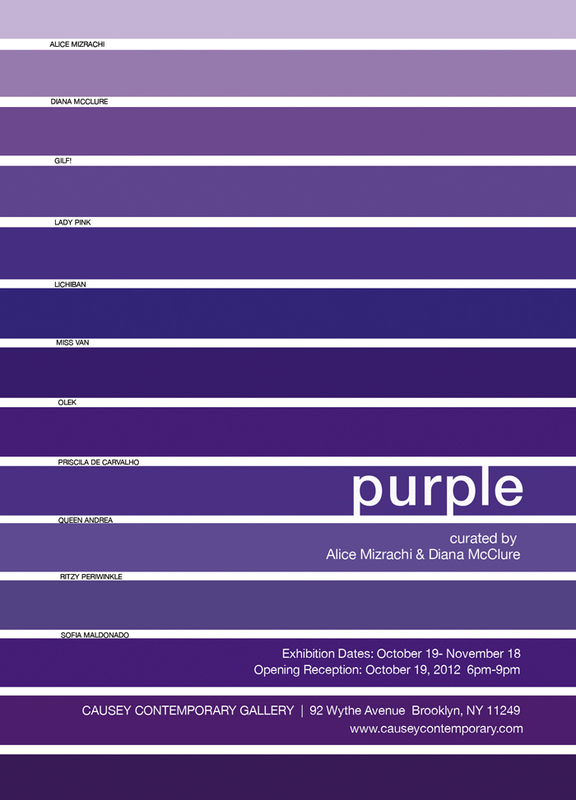 August 2012, Brooklyn, NY — This autumn, eleven female contemporary artists will explore Purple as a color, word and psychological context in a freestyle exhibition where medium, formal strategies and process intersect to create original content. 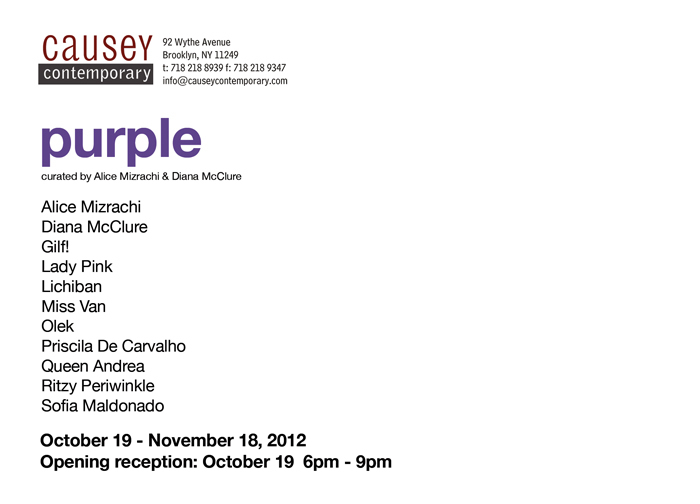 Purple will be on view at Causey Contemporary Gallery, 92 Wythe Avenue in Williamsburg, Brooklyn, from October 19 – November 18, 2012, with an opening reception from 6pm – 9pm on Friday, October 19th. This exhibition is produced by YOUNITY, an international collective of urban female visual artists, designers and craftswomen. 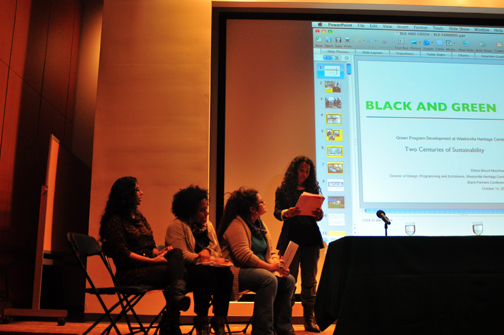 The collective collaborates on creative projects, resource networks, mentoring of youth, community building, and the production of art exhibitions that promote women in the arts. 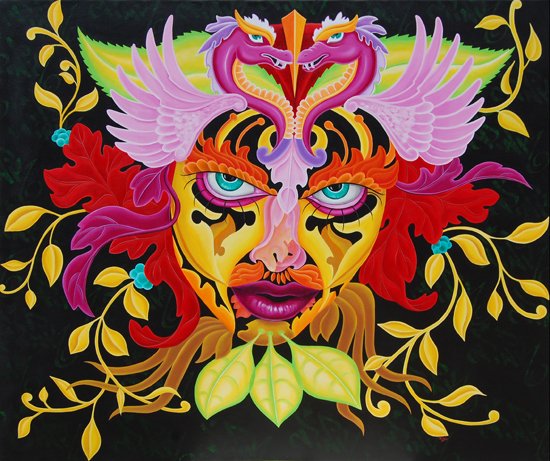 Curated by Diana McClure and YOUNITY co-founder Alice Mizrachi, this exhibition features a group of internationally recognizable street, mural, urban and contemporary artists from across the United States and abroad including: Alice Mizrachi, Diana McClure, Gilf!, Lady Pink, Lichiban, Miss Van, Olek, Priscila De Carvalho, Queen Andrea, Ritzy Periwinkle, and Sofia Maldonado. From electric purple, Tyrian purple and Han purple, to purple prose, purple patches and human color psychology, the color purple has been tapped by the musician Prince, the author Alice Walker, the French art publication Purple Journal, and the ancient world, to convey a certain psychological vibration, spiritual energy or visual message. In this exhibition, each artists’ interpretation of purple aims to unlock new readings on the visceral, intellectual, conceptual, spiritual and pleasurable aspects of the color purple. 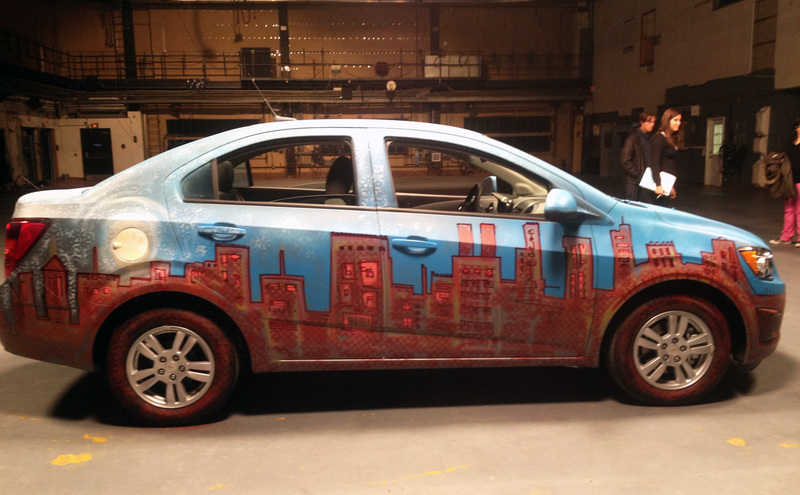 A few weeks ago I worked on this amazing #urbanart project for @Chevylife painting a brand new Chevy #Sonic. I was teamed up with Zoo York Pro Skaters Rodney Torres and Eli Reed for a collaborative project showcasing art and skate culture. 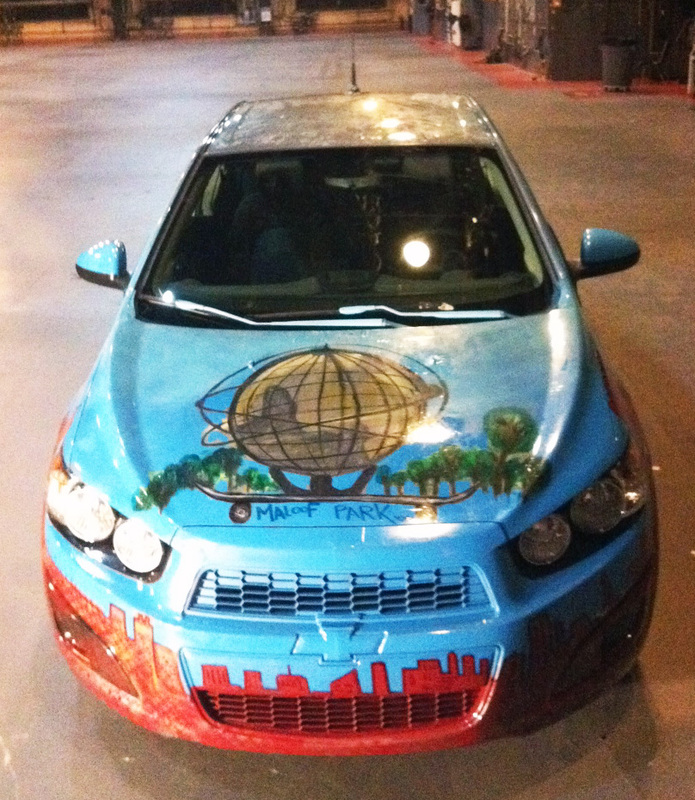 With inspiration from Rodney and Eli, I created a cityscape wrapped around the car with Flushing Meadows Unisphere in Queens on the hood. The project was so much fun gave me the opportunity to rock out on a new surface. The crew I worked with were real cool and I got to vibe out and enjoy the process. Check out the flicks and footage below. Thanks to Christian Driggs and the whole Big Fuel team for doing such a great job!!!! 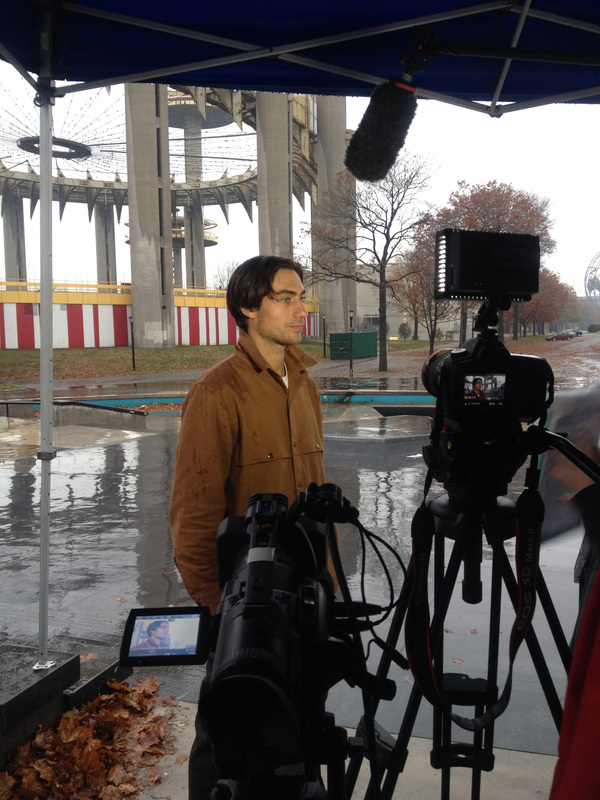 Flushing Meadows Corona Park- Shooting Rodney & Eli talk about Maloof Skate Park. Eli Reed talking about his experiences as a skater. Rodney Torres sharing his passion for skating and what building Maloof Park was like for him. 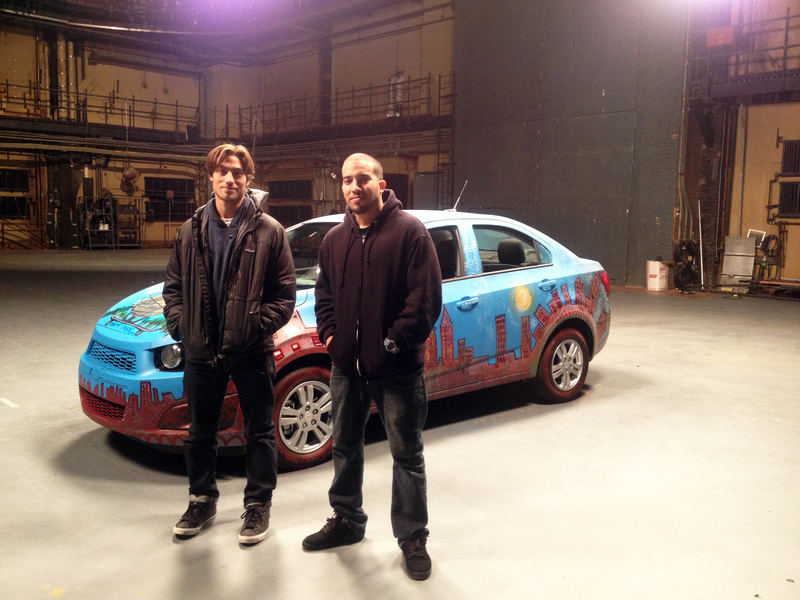 Eli Reed and Rodney Torres after revealing the car to them. 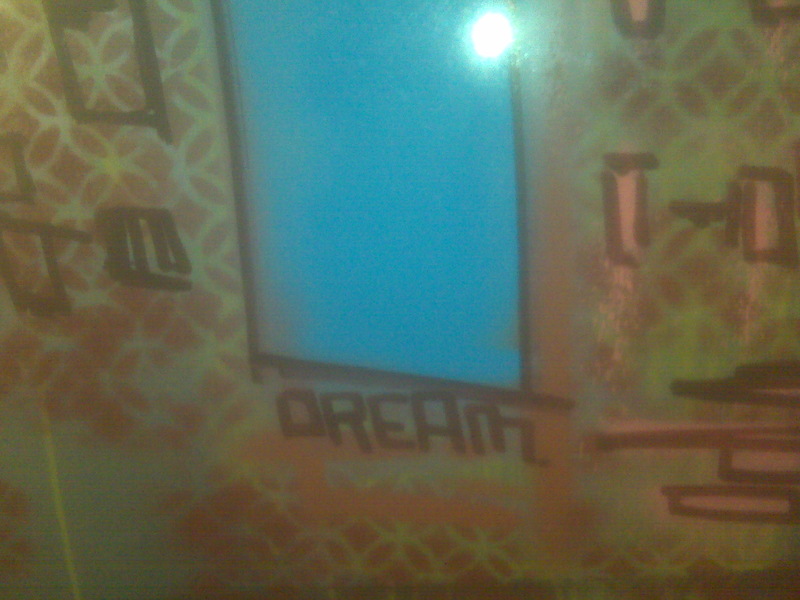 A detail of one of the messages hidden in the cityscape. For my concept I decided to go with the idea of Rodney and Eli’s experiences with Maloof Park. I wanted to incorporate life living in the city but still showing the borough both me and Rodney come from- Queens. 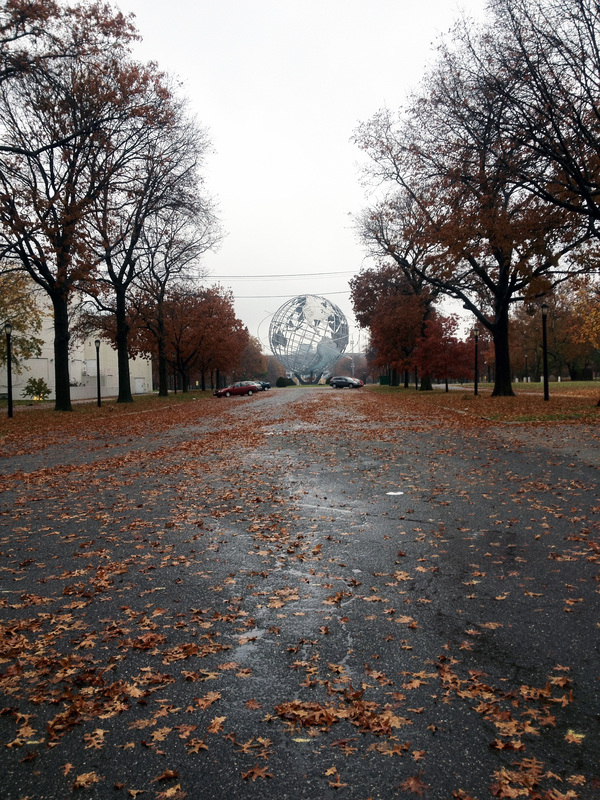 Since we were in the park when it was raining I wanted to include the elements we deal with in NYC. I was super inspired by the fall colors in the rain. 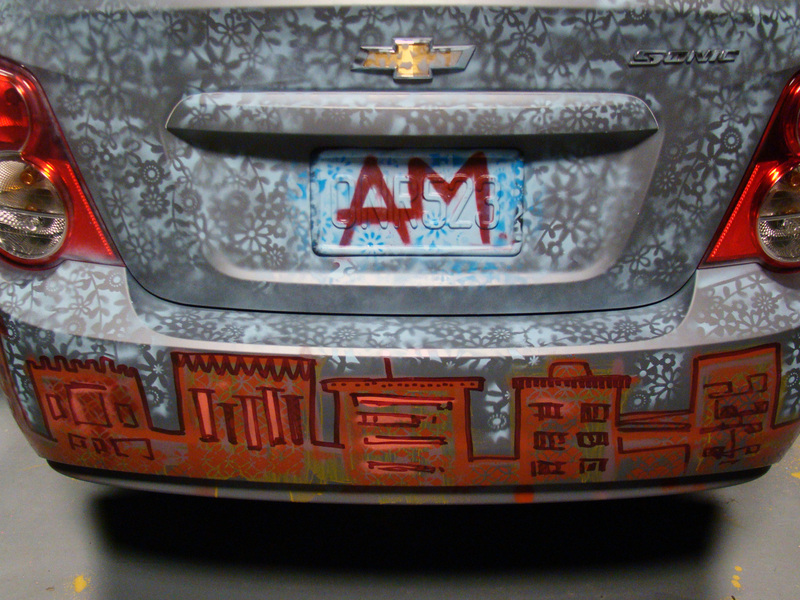 I added that to the design of the car by including warm fall colors. 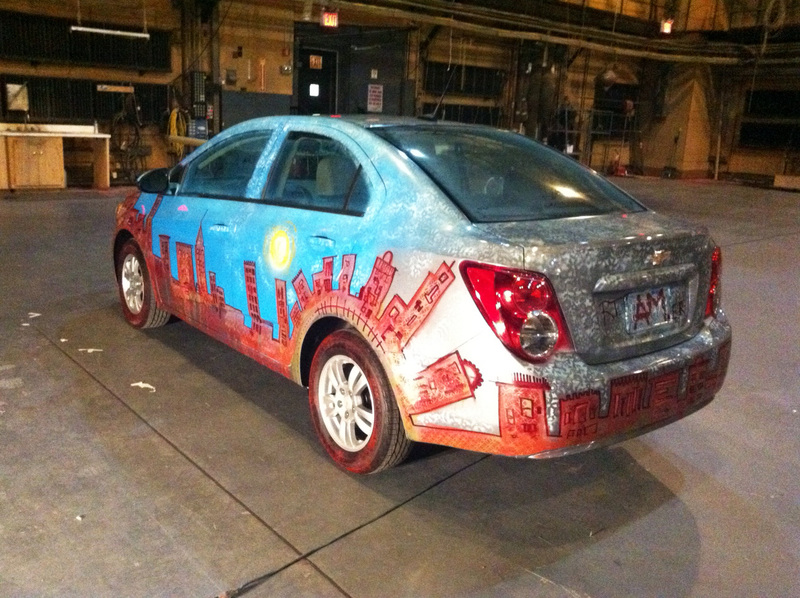 One side of the car had a sun suggesting daytime while the other side showed a moon suggesting night. I also added seasonal shifts into the design- the hood shows a warmer summer/ spring season, the sides show the fall and the gradient with white to the rear of the car suggests a cooler climate- Winter. 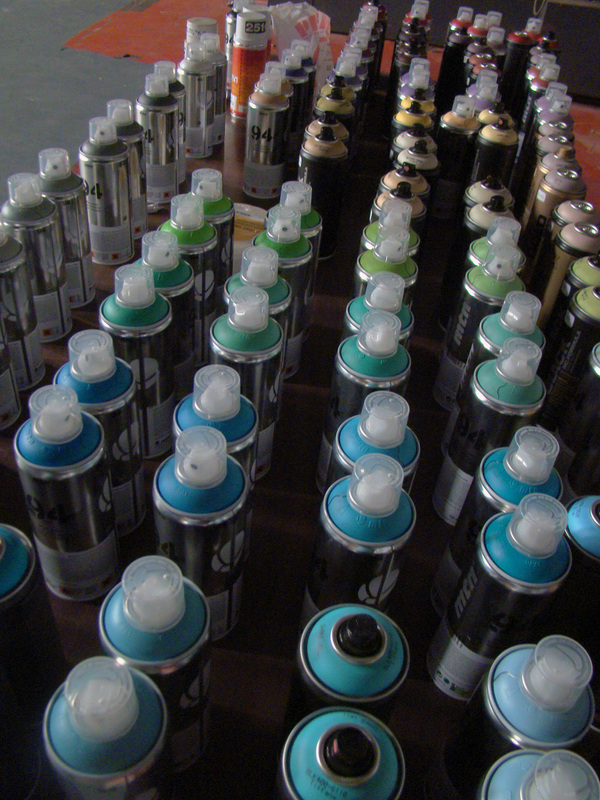 Surrounded by all these elements we still manage to do what we love, in my case make art and in their case skateboard. 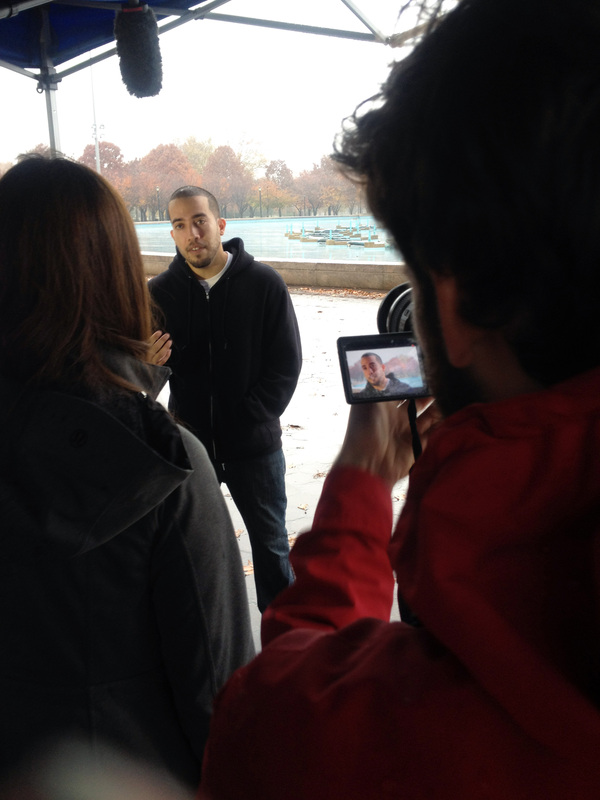 The elements challenge us to become better and more passionate about what we do. It feels so good to be inspired by the smallest things in life- friends, seasons, life experiences; and to be able to share these things in my art with the world is a real dream come true!